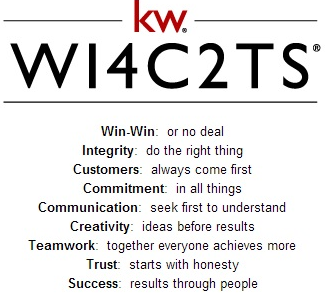 Keller Williams Realty's Mission: To build careers worth having, businesses worth owning, and lives worth living. Interact with other KWM Agents online to have all of your questions answered. Stay on track with in-house training. Review the current month's calendar. Login portal to access all of your KW Resources! Online file sharing source for all of our office forms, logos, sales rally slides and recent stats! Reppert Factor is our tech support vendor for all network and computer support matters. When submitting a Help Ticket, your password is the last 4 digits of your social security number. Reppert can assist you with any device, work or personal.